This international edited collection examines how racism trajectories and manifestations in different locations relate and influence each other. The book unmasks and foregrounds the ways in which notions of European Whiteness have found form in a variety of global contexts that continue to sustain racism as an operational norm resulting in exclusion, violence, human rights violations, isolation and limited full citizenship for individuals who are not racialised as White. The chapters in this book specifically implicate European Whiteness – whether attempting to reflect, negate, or obtain it – in social structures that facilitate and normalise racism. The authors interrogate the dehumanisation of Blackness, arguing that dehumanisation enables the continuation of racism in White dominated societies. 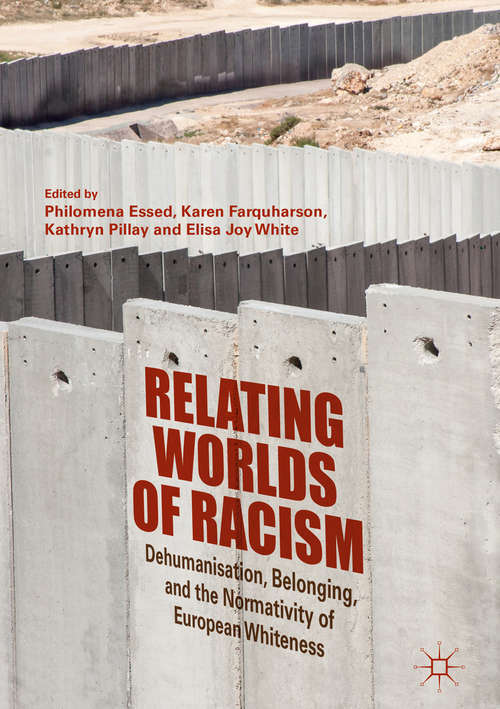 As such, the book explores instances of dehumanisation across different contexts, highlighting that although the forms may be locally specific, the outcomes are continually negative for those racialised as Black. The volume is refreshingly extensive in its analyses of racism beyond Europe and the United States, including contributions from Africa, South America and Australia, and illuminates previously unexplored manifestations of racism across the globe.